AVG Livekive shutting down is a huge pain for their existing users and because AVG LiveKive is a rebranded SpiderOak client the only realy option to transfer your files and backup to another service was to download them all and re-upload them to a new service. Thankfully SpiderOak has now come to the rescue of AVG LiveKive users. AVG LiveKive users can transfer their accounts to SpiderOak and SpiderOak will honor all existing AVG LiveKive storage plans and pricing for both free and paid users. The best part of all is none of your data needs to be re-uploaded and you will keep your username. Everything will appear in SpiderOak as it does in your current AVG LiveKive account, including your folder structure, historical versions, deleted items and sync settings to all your devices. Since AVG LiveKive was a rebranded SpiderOak to begin with this was really the only option to transferring without have to re-upload everything. It is also interesting to see that SpiderOak will honor all plans. AVG LiveKive offered an unlimited plan for $79.99/year. Not sure it it was really unlimited since AVG LiveKive had something in the terms of service of it being limited to 500GB but have reached out to SpiderOak to see if there are anymore details. If true your AVG LiveKive unlimited plan could turn into a SpiderOak unlimited plan at a very nice price. 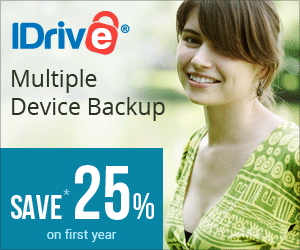 Even better than the SpiderOak World Backup Day unlimited promotion. If you are an AVG LiveKive user you can download SpiderOak here and switch easily.